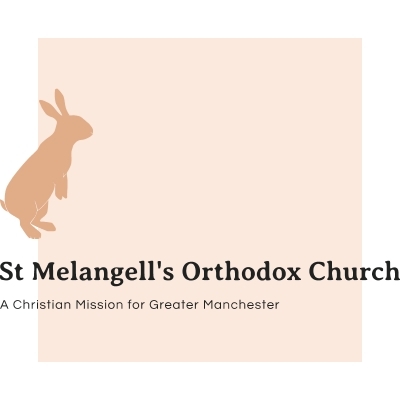 St Melangell's is a Christian church, worshipping God according to forms familiar to Christians of western lands. While our little community here in Manchester is newly formed, we are part of the wider, ancient Orthodox Church founded by Jesus Christ. That is to say that we confess the Christian Faith as expressed in the Holy Scriptures, in the writings of the Apostles and the Holy Fathers and Mothers of the Church, in the Creeds and the Canons of the Ecumenical Councils of the whole Church, in the whole ascetic and liturgical tradition of the early, undivided Church. We aim to be a welcoming community, open to all people who genuinely seek to live in Christ, free of the conservative culture that has often made churches unwelcoming places. We aim to be a living community, allowing our faith to permeate our actions in our daily lives. We aim to be a prayerful community, grounded in Orthodox Faith, worship, and life. Our services are almost entirely in English, and our worship and spiritual life are conducted according forms of prayer, fasting, and spirituality that have their origins in the ancient Orthodox tradition of Western Europe and the British Isles, and which are collectively known as the Western Rite. We started meeting for prayer in Advent 2018. With the blessing of our bishop, we gather regularly to worship, to pray, and to hear the Holy Scriptures. We are currently few in number but, should God bless our efforts, we hope to grow and provide a spiritual home for those who are seeking to work out their salvation in Christ. If you would like to join us or just come for a visit, we would love to have you with us. You might find the information here to be useful. If you would like a fuller, more detailed picture of the history of our church, you can find this here.